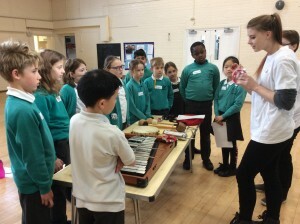 Last Wednesday we were fortunate enough to have students from Southampton University’s Baby Suso Orchestra visit us. 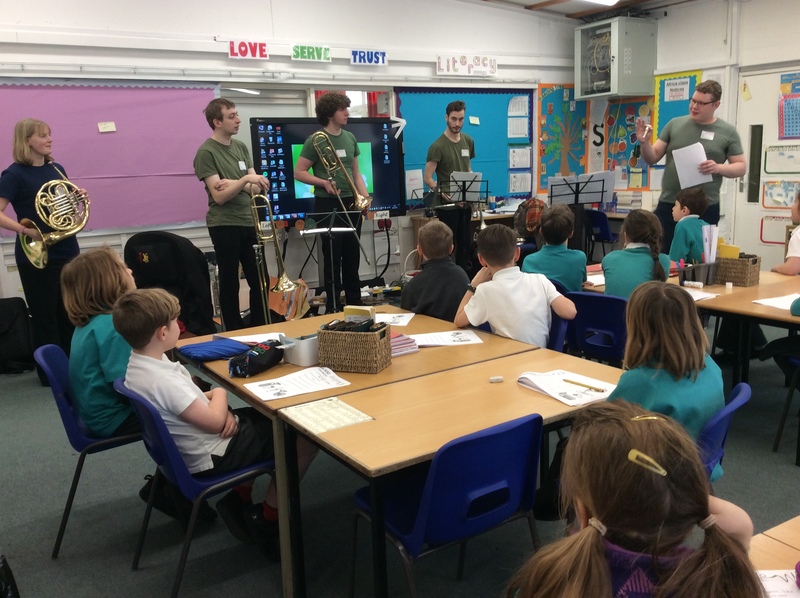 They spent the first part of the afternoon with Year 4 children who were split into groups. Each set spent time learning about, listening to, and handling instruments from the different orchestral families. 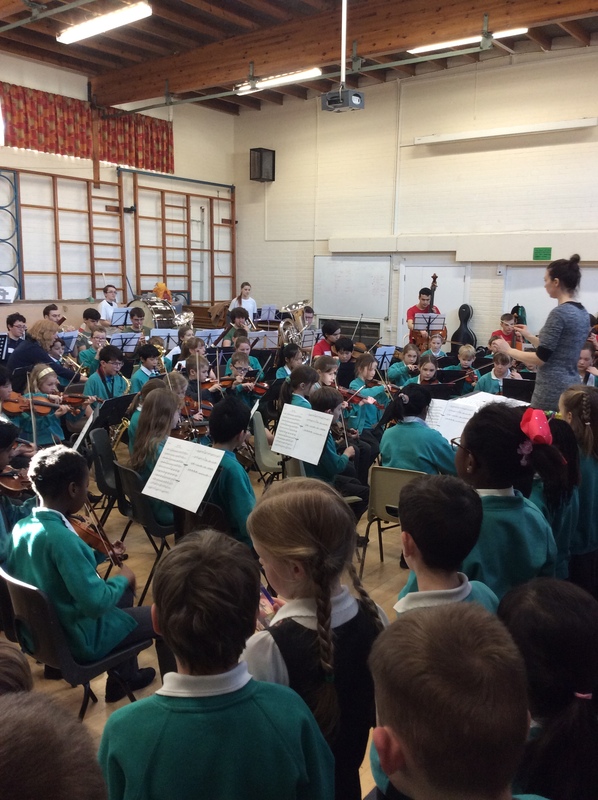 The University orchestra then joined forces with our own school orchestra under the baton of Miss Benstead. They played two pieces together: one of which can be heard in the link above (click on Hall). 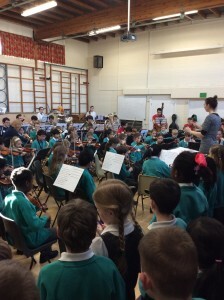 Baby Suso then went on to play 3 more pieces including the themes from ‘How to Train your Dragon’ and ‘Star Wars’.